Looking for a Bad Credit Mortgage Broker? We can help! We have dedicated bad credit mortgage sources for people who may have had past credit issues, but now need assistance getting the right mortgage. 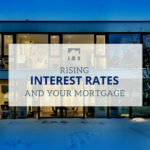 This is true whether you’re buying a new home or wish to refinance your current home. Ross Taylor & Associates is one of the only mortgage teams in Ontario offering an in-house BIA registered insolvency counsellor, and we have superb relationships with several trustees in bankruptcy and consumer proposals. What is a Bad Credit Mortgage? Although many brick-and-mortar banks consider clients with bad credit to be high risk – we have lender specialists who, regardless of your credit history, will extend a loan to you! You’ll be surprised by what’s possible. Of course, you may be looking at some additional fees and a higher rate of interest, but if the benefits justify the cause, then we go all-in on your behalf. Also, important to note, all our clients are enrolled in a free credit history re-build program so we can ensure you a place back in the world of “A lenders” as soon as possible. At Ross Taylor & Associates, we’re always thinking several steps ahead – we’re all about the relationship with our clients, and not about any individual transaction. Is your debt load causing you anxiety and sleepless nights? Or perhaps you are tired of renting, but are genuinely worried about getting a mortgage with bad credit? Our team is entirely specialized in bad credit mortgages, and can assist by finding the best home loan for your credit situation and budget. Whether you went through a messy divorce, suffered a small business failure or perhaps just hit a rocky patch of employment, we understand the turmoil of getting a mortgage with bad credit. Before you consider a consumer proposal or bankruptcy, reach out to a member of our team instead. With countless years of expertise, we’ve seen many poorly explained bad credit mortgage strategies making little sense, which results in unnecessary home ownership challenges. Stop stressing out and contact us instead! We’ll develop a comprehensive financial plan for you and make sure you avoid any surprises along the way. Before you co-sign someone’s loan application, understand you are essentially loaning your personal credit history to that person.